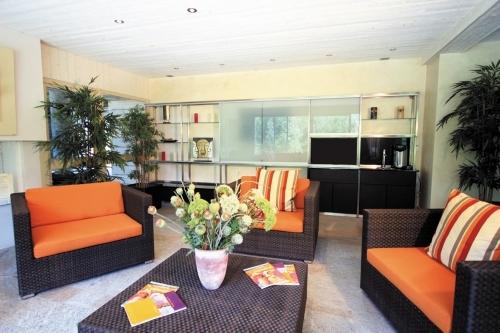 L'Ardoisière is a quality residence in a tranquil location with views of the Pla D’Adet mountain road and mountains. 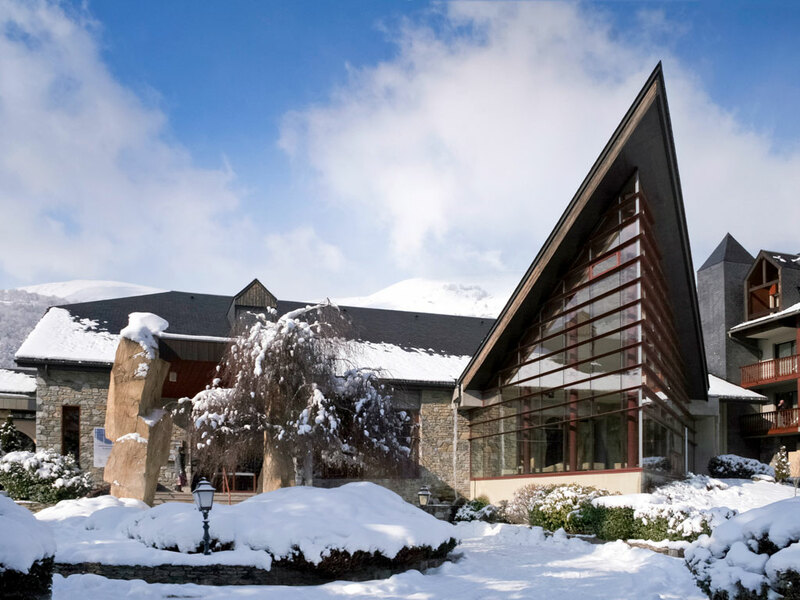 It has a beautiful indoor pool and spa centre and is located 500m from the gondola and 800m from the pretty village centre. 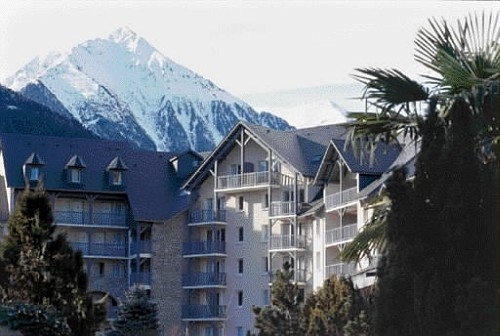 L'Ardoisière in Saint Lary is located 500m from the new cable car and Thermal Baths and 800m from the village centre and Pic Lumiere gondola- a free resort shuttle bus operates to all these locations. 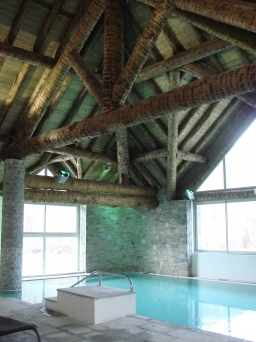 The recently built L'Ardoisière ski residence is composed of 2 low-level buildings (with lift), constructed in traditional Pyrenean style with the use of rustic stone, wood and slate. Facilities at L'Ardoisière include free access to the indoor heated swimming pool (9m x 4m, open Sun – Fri 10.00 – 19.00); sauna and steam room (13 years +, 1 free sauna or steam room session/apartment then payable), various massages and beauty treatments are available in the ‘Le Spa de L’Ardoisière’ (payable and pre-bookable), free outdoor parking (subject to availability, 45 spaces), covered parking (payable, subject to availability), laundry room (payable), Wi-Fi internet access in the apartments (payable) and ski lockers. The loan of board games is also possible (subject to availability). Cots, highchairs and raclette sets can be hired (subject to availability, request at time of booking). L'Ardoisière also runs its own childcare service, 'Le Jardin de Blanche Neige' (in Vielle Aure) from 19/12/15 – 02/04/16. Here children from 6 months to 10 years old can enjoy fun and games Monday – Friday from 08:30 to 18:00 (payable, must be pre-booked, meals not included). 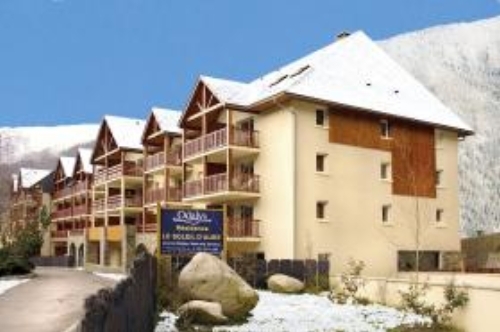 All the apartments at L'Ardoisière in Saint-Lary are fitted and furnished to a high standard of comfort and convenience. 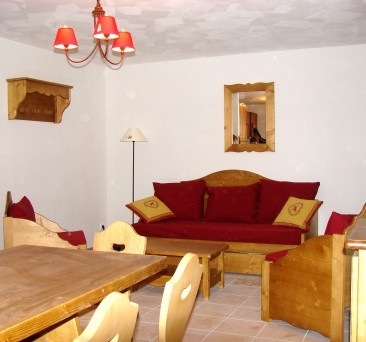 The interior décor is stylish, traditional and homely with true alpine touches. They all have a fully equipped kitchenette with 4-ring ceramic hob, oven, fridge, dishwasher, coffee-maker and toaster; TV and a furnished terrace or balcony. Studio sleeping 2 (ca. 28m2): Open plan living/dining area with a sofa bed (converts to 2 single beds), bathroom with WC. Balcony or terrace. 1 Bedroom Apartment sleeping 4 (ca. 38m2): Open plan living/dining area with a sofa bed (converts to 2 single beds), 1 bedroom sleeping 2, bathroom with WC. Balcony or terrace. 1 Bedroom Alcove Apartment sleeping 6 (ca. 48m2): Open plan living/dining area with sofa bed (converts to 2 singles beds), 1 twin bedroom, 1 alcove with bunk beds, bathroom, shower-room & WC. May be split level. Balcony or terrace. 2 Bedroom Apartment sleeping 6 (ca. 58m2): Open plan living/dining area with sofa bed (converts to 2 singles beds), 1 double bedroom and 1 twin bedroom (may be bunk beds) bathroom, shower-room & WC. Balcony or terrace. 2 Bedroom Alcove or 3 Bedroom Apartment sleeping 6/8 (ca. 65m2): Open plan living/dining area with sofa bed (converts to 2 singles beds), 3 bedrooms sleeping two people or 2 bedrooms sleeping two people and 1 alcove with bunk beds. bathroom, shower room and WC. May be split level. Balcony or terrace. 3 Bedroom Duplex with alcove Apartment sleeping 10 (ca. 70 – 75m2): Open plan living/dining area with sofa bed (converts to 2 singles beds), 3 bedrooms sleeping two people and 1 alcove with bunk beds, bathroom, shower room and WC. Split level. Balcony or terrace. 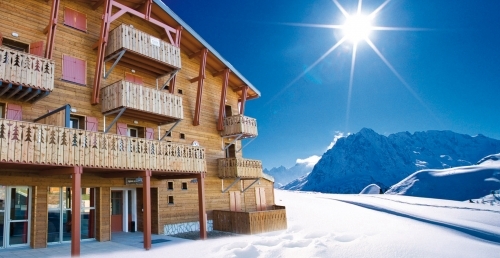 Please note: for any apartments at L'Ardoisière in Saint Lary that feature bunk beds, sleeping in the top bunk is not recommended for children under the age of 6 years old. Fully equipped apartment, bed linen (change payable), towels (change payable), TV, ski lockers, access to the heated indoor swimming pool (open Sun-Fri 10.00 – 19.00) and outdoor parking (subject to availability). - Optional beds made on arrival: £23/apart sleeping 2/4, £27/apart sleeping 6, £31/apart sleeping 8 & £38/apart sleeping 8+. - Optional end of stay cleaning (excluding kitchen & dishes): £27/apart sleeping 2/4, £37/apart sleeping 6, £45/apart sleeping 8 & £53/apart sleeping 8+. - Optional beds made on arrival & end of stay cleaning: £42/apart sleeping 2/4, £56/apart sleeping 6, £68/apart sleeping 8 & £84/apart sleeping 8+. - Optional covered parking (height limit 1.90m): £27/car/week (subject to availability). - Spa packages available from £37/person (please call us for further details). - Refundable breakage deposit: €300/apartment - Please note no deposit, no keys! - Change of bed linen and towels: €7/kit/each. 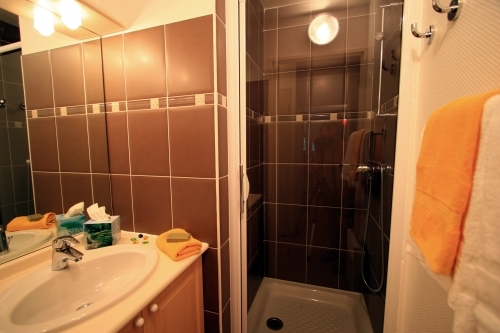 - Charge if apartment is not left clean and tidy: €35 - €69 (depending on apartment size). - Hire of cot or highchair: €15/item/stay or €25 for both/stay (request at time of booking, all subject to availability, for child under 2 yrs). - Hire of raclette set: €6. - Wi-Fi internet access (in the apartments): €4.90/day or €25/week/3 devices (payable on site by credit card only). - Launderette: €5/wash & €3.50/dry (guiding fare). - Sauna and steam room: €8/session or €39/6 sessions (1 free session offered per apartment and per week – from 13 yrs old only). Only two pets per apartment are allowed and will be charged €44/pet//week (payable locally). A valid passport for your pet is compulsory. Board games (all subject to availability) and free of charge. Sunday – Friday: 08.00 - 11.00 & 17.00 - 19.00 (20.00 in high season). Saturday: 08.00 - 12.00 & 17.00 - 20.00. Arrival day at L'Ardoisière is Saturday (and other days on request) 17:00 - 20:00 and Departure 08.00 - 10:00. Sorry, no current special offers. We can provide packages with Eurotunnel crossing or accommodation only. For a quote please contact our Reservations Team on 0844 576 0176 or email us at reservations@pyreneescollection.co.uk. An elegant, intimate residence with spacious apartments just 500m from the gondola and thermal spa and 800m from the centre and the cable car. A recently-built residence with a central yet peaceful location. 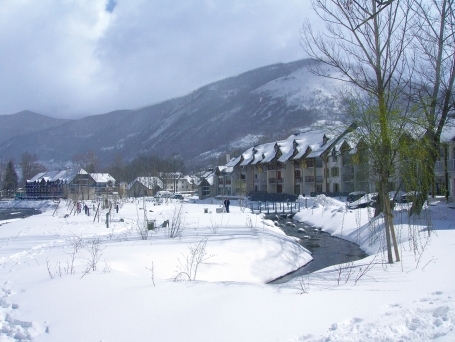 It is just 100m from the cable car that accesses Saint Lary Soulan ski area and 50m from the beautiful Sensoria Thermal Baths. 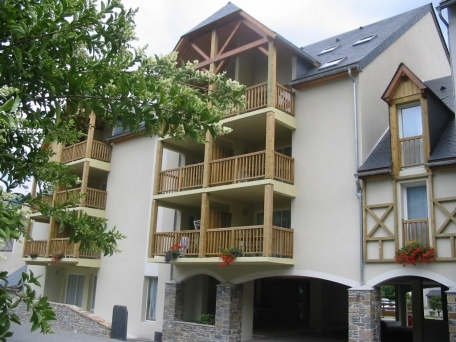 Ideally located in the centre of the village and 300m from both the cable car and the Sensoria thermal spa centre. The nearest superrmarket is just a 2 minute walk away. A quality residence in a tranquil location with views of the surrounding mountains. 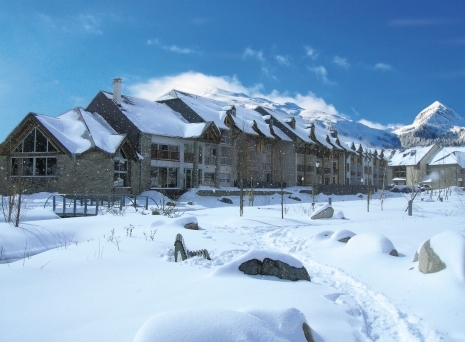 Features indoor pool and spa centre and is located 500m from the gondola and 800m from the pretty village centre. 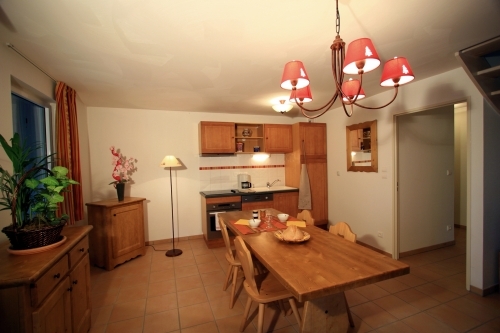 Warm and friendly centrally located residence in a tranquil part of town the village just 300m from the centre and 500m from the “Pic Lumière” cable car and the gondola. 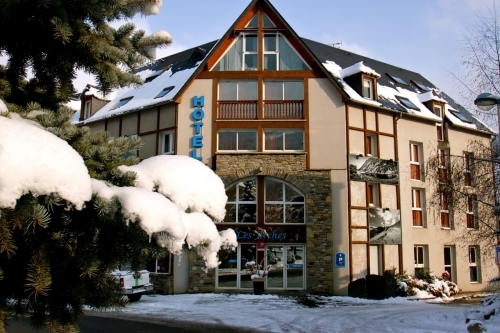 Warm and friendly centrally located hotel in a tranquil part of town the village just 300m from the centre and 500m from the “Pic Lumière” cable car and the gondola. 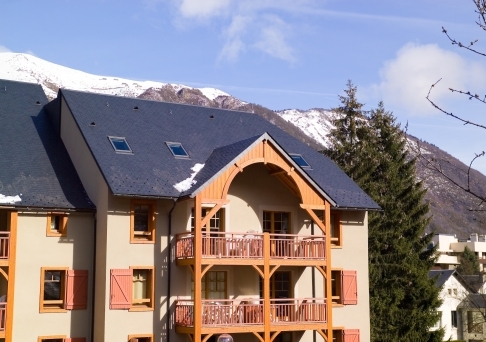 The recently built Le Soleil d'Aure is located in a peaceful location just 400m from the cable car and the pretty village of Saint Lary with its typically Pyrenean bustling high street. 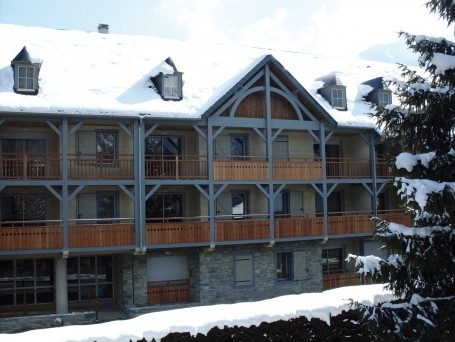 Modern chalet-style mountain hotel situated in the centre of this authentic and characterful Pyrenean ski and spa village and perfectly placed close to the shops and cable car to the ski slopes (50m). Small residence at the foot of the ski slopes offering doorstep skiing as well as being located just 50-200m from all the restaurants, bars, shops and services.